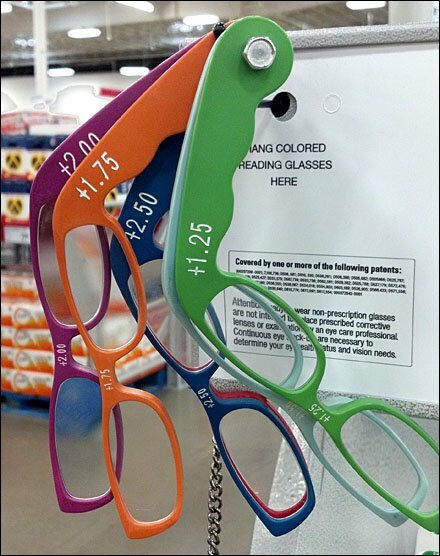 Here color coded diopter specifications and trial reading glasses help nearsighted to pick appropriate diopter lenses. 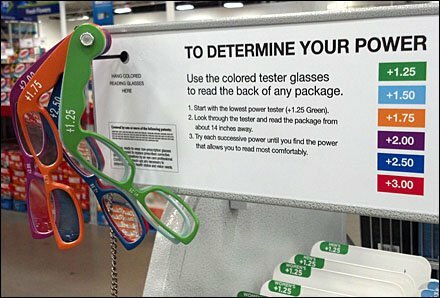 But just in case you are color blind too, the diopter power is etched on the trial reading glasses … And large enough to read comfortably. CLICK the thumbnail for a closeup view of the lorgnette or the opera-glass-like trail pairs.